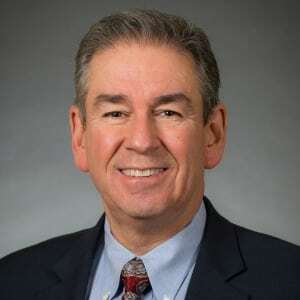 You are at:Home»Execs to Know»2019’s Top 25 Execs to Watch: David Wajsgras, Raytheon Co.
2019’s Top 25 Execs to Watch: David Wajsgras, Raytheon Co. It has been a great year for Raytheon Intelligence, Information and Services. The company delivered outstanding financial results, demonstrating record-setting performance, and it expects 2019 to be a solid year. This month, the U.S. Air Force will continue to use Raytheon’s ground launch and checkout system, GPS OCX, to guide its next-generation GPS satellite into final orbit. It’s notable the GPS OCX system also achieved the highest level of cybersecurity protections of any Defense Department space system ever delivered. It began work on a $600 million strategic software program, where the company is updating and sustaining software on strategic assets for the U.S. Army. “From a technology standpoint, I’m proud to share that our new Low Power Radar, known as Skyler, was named one of the top technologies by Popular Science magazine, for its many applications including tracking Unmanned Aircraft Systems in the National Airspace System,” said David Wajsgras, vice president of Raytheon Co. and president of Intelligence, Information and Services. The cornerstone technologies center around automation, analytics and cyber. The company also uses cutting-edge capabilities, such as artificial intelligence and machine learning, immersive technologies, such as virtual reality and augmented reality, and several commercial cybersecurity tools through multiple partnerships established in 2018. It invested in a commercial small satellite company, Hawkeye 360, for enhanced data analytics for our government customers. The company sees quite a few opportunities to support its customers’ missions and goals: cybersecurity, space systems, multi-domain command and control, airspace modernization, and high-consequence training, Wajsgras said. “We are well positioned to bring the most advanced capabilities and technologies to our customers in the DOD, intelligence community, federal civilian markets and international markets,” he said.